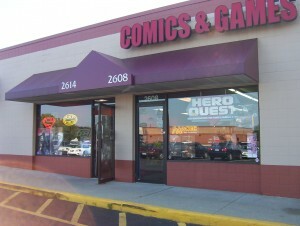 My thanks to Nate Mezel, owner and operator of Hero Quest Comics and Games in Howell for hosting my first book signing a couple weeks back. 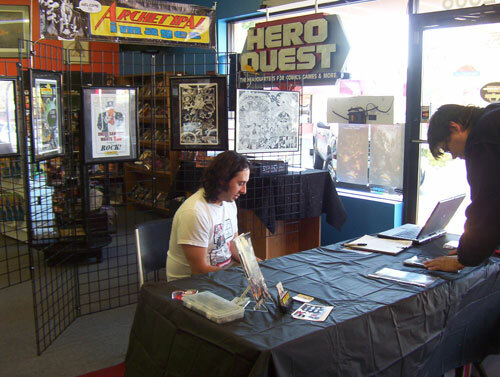 The signing went fairly well—a number of people I’d not seen in years came by to show their support and a good handful of new people stopped to grab a book because they’d heard about it through the LCP and WHMI. (http://www.elephanteater.com), who just moved to Lansing from California . I’d met him at a book signing of his own a few weeks back, so he decided to return the favor. Of course, I completely forgot to get a photo with him. Doh! If you weren’t able to stop by but still wanted to get a book, Hero Quest still has some, so stop on in—I’m sure Nate would love to see some new faces. 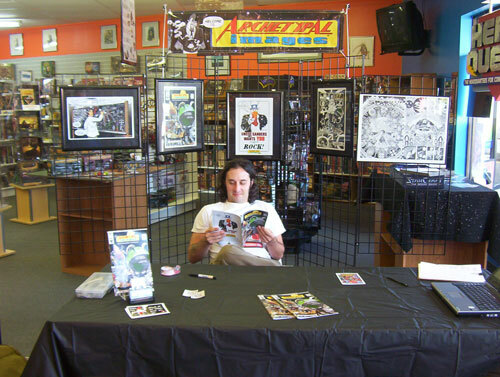 This entry was posted in Comic News, Events and tagged Book Signing, Sponsorship Special by Eric Wilmoth. Bookmark the permalink. Next → Next post: BAIL-OUT BULL-$#@!